In case you missed it, here is our most recent E News. To subscribe, click here. 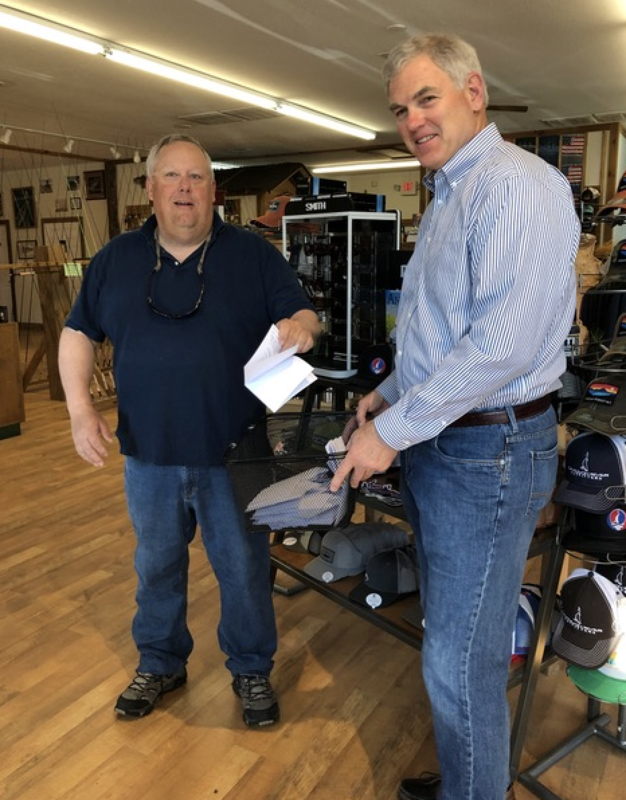 It’s that time of the year again – time to take Pride in Pisgah! Our 4th annual Pisgah Pride Day 2019 is Saturday, April 27th. Sign-up now for a fun day working in the forest with some great people. The after-party at Oskar Blues promises to be a treat with some REI goodies to give away. Kids are welcome but if they are under 18 a parental consent form must be signed, scan it and email it to info@pisgahconservancy.org. We suggest you bring a bag lunch, re-usable water bottle filled – water coolers will be available at each site. Some other suggestions are rain gear, hiking or work boots, work gloves if you have them, sunscreen, bug spray, hat, energy bars, hand towel, perhaps extra clothes for the after-party, long pants, long sleeve shirt if you are working around poison ivy or herbicides and toilet paper – you may be working where there are no facilities. All are welcome but you must be signed up to work on Forest Service property. To sign-up just complete and submit the form. By completing and submitting the form, you agree to the terms of the attached Volunteer consent form. Volunteers will meet at the Pisgah Ranger Station on US 276 just north of Brevard unless otherwise directed by email. Once you have signed up at the Ranger Station you will carpool with your group or use specially provided transportation to the specific job site. No pets please but you can request to work with a special group, special friend or family. Write us a note in the “Specific Requests” section of the sign-up form. This is a great opportunity to meet fellow Pisgah Protectors, have some fun and take care of the Pisgah we all love. 300 volunteers working on 19 projects across the Pisgah Ranger District. · Cleaned up 4 miles of the Davidson River. Ready to join us this year? Pisgah Pride Day is almost here and there are an exciting number of trail projects lined up for our busiest volunteer day of the year! We’ve been staying busy in March and April putting up our Pisgah Pride banner, gathering building materials needed for projects, and doing all the other prep-work for projects we look to complete during the event. Two of the biggest trail projects will be on the Exercise Trail near the Ranger Station / Visitor Center and on John Rock Trail off of Cat Gap Loop Trail. Volunteers and the Forest Service will help build turnpike with gravel and locust rails in order to raise up muddy areas along the trail. This project will be funded with grant money from the National Forest Foundation, a source that also funded the new Exercise Trail Bridge and the new decking on the Art Loeb steel bridge over the Davidson River. The project on John Rock Trail will be a continuation of a Carolina Mountain Club project to build puncheon footbridges in a seasonally wet and boggy area of the trail. Pisgah Pride Day will involve hand-carrying 6x6 timbers to the work site and them assembling them into the bridge sections. 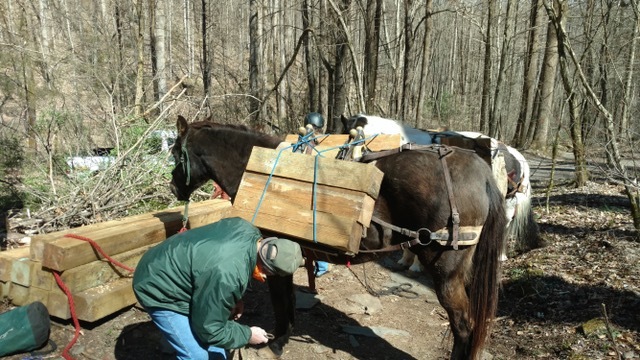 Thanks to the Back Country Horsemen of Pisgah (BCHP), the distance they have to be carried has been cut in half. As part of prep-work for Pisgah Pride Day, the volunteer horsemen packed up fourteen 8-foot timbers and eleven 2-foot pieces the bridges will sit on. Thanks to the BCHP, the hand-carrying will be much shorter! 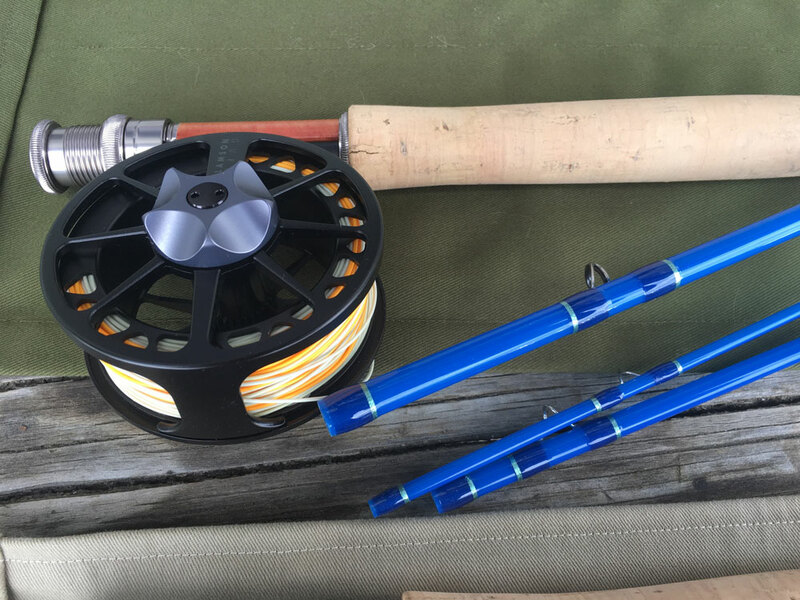 Paul Vulcan from Charlotte was the lucky winner of the Davidson River Outfitters custom rods and reels raffle. HUGE thanks to Kevin Howell and Davidson River Outfitters for building and donating this great Pisgah-perfect pair. Tight lines Paul! Treat yourself to a cool plate! 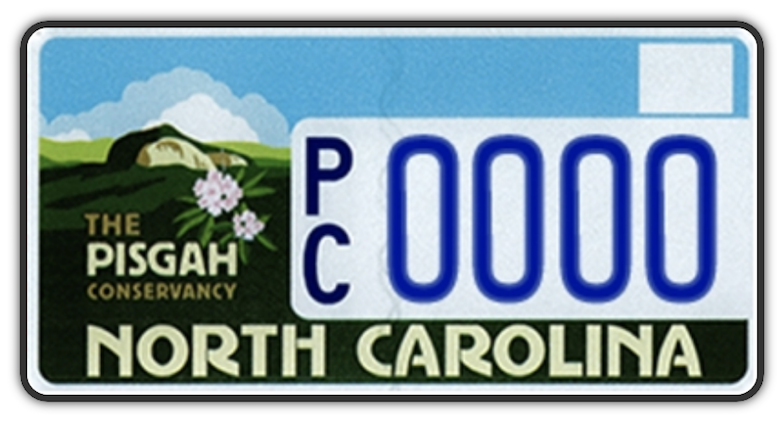 Order your own Pisgah Conservancy license plate online through the NC DMV! $20 of your purchase goes directly to TPC. 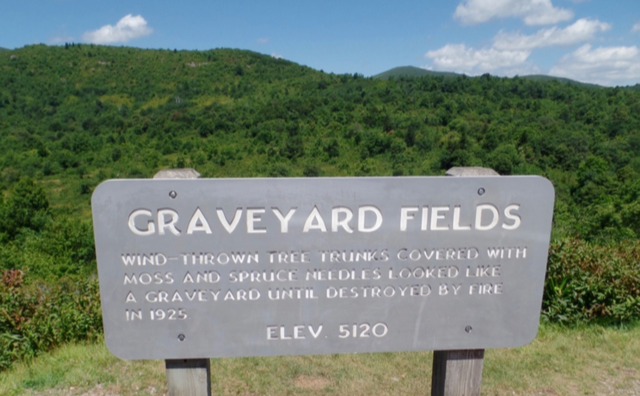 How did Graveyard Fields get its name? Some say it came from a great wind storm (possibly a tornado) that brought down hundreds of spruce and fir trees, leaving moss-covered stumps that resembled a large grave-yard. Another theory comes from the early 1900’s when the logging of Pisgah left thousands of stumps behind. Stay tuned in the coming months for much more about the history and future of Graveyard Fields. Every year, Amazon allows its customers the opportunity to give back to their local community simply through shopping. If you follow Pisgah Conservancy's custom link to the Amazon site, .5% of the price of eligible purchases will be donated back to us at no extra cost to you! The mission of the organization is to provide funding to preserve the natural resources and scenic beauty of the Pisgah Ranger District and to enhance the recreational experience of all visitors to Pisgah. Photographs may not be used without the written consent of the photographer.